Luck was with us this St. Patrick’s Day and we just so happened to catch a Leprechaun ordering custom bumper stickers through our site at MakeStickers.com. We thought they were pretty typical of a leprechaun so we decided to share them. 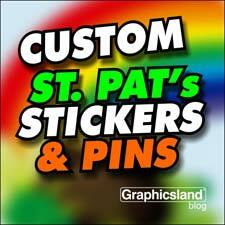 What do you think of the custom stickers this Leprechaun designed?